Hello, comfort food! 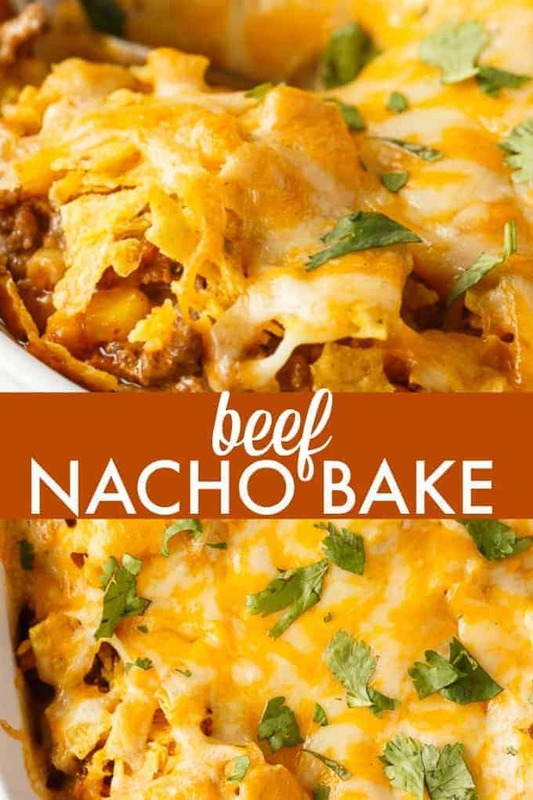 This Beef Nacho Bake is exactly what you need to make when you are craving something hearty and filling. It’s easy to make and so delicious. I used mayonnaise in the sauce to add an extra element of creaminess. Use hot salsa if you want a punch of spice. My brood prefers things on the mild side though I personally like things hot! It plates messy, but tasty! My family gobbled it up in one sitting so there were no leftovers. I bet it would taste yummy the next day especially after all the flavours had a chance to marry together. 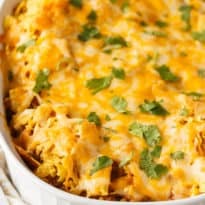 I have several more casseroles coming up on the blog. It’s comfort food season and I’m all in! You might also like this Potato Nachos or Texas Beef Skillet. 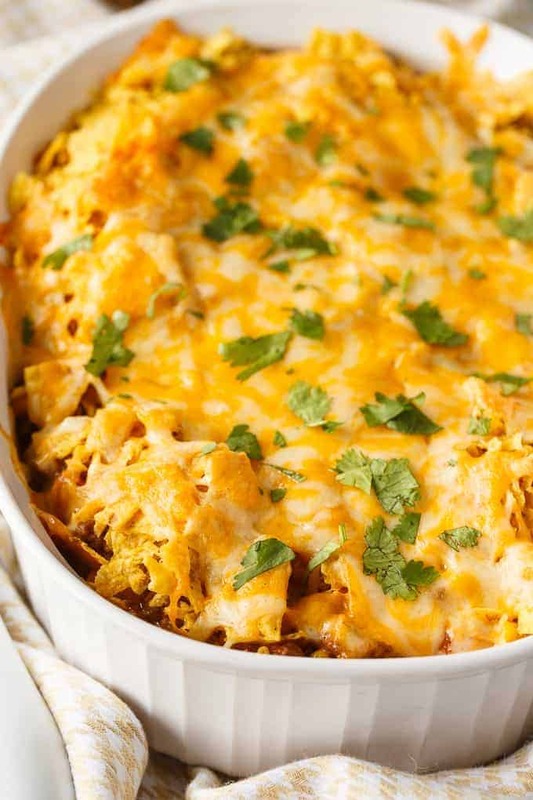 Do you think your family would enjoy this Beef Nacho Bake? Exactly what you need to make when you are craving something hearty and filling. It’s easy to make and so delicious. In a large skillet, cook ground beef over medium high heat until cooked. Stir in salsa, corn, mayonnaise and chili powder. Spread half of meat mixture in a 2 quart casserole dish. Spread half of tortilla chips on top followed by half of the cheese. Repeat layers. Bake 20 minutes. Top with cilantro, if desired. This sounds extremely delicious. I think my whole family would enjoy it. YUM! I make a very similar recipe but it has Taco Seasoning envelope mix into cream cheese and add as a layer. 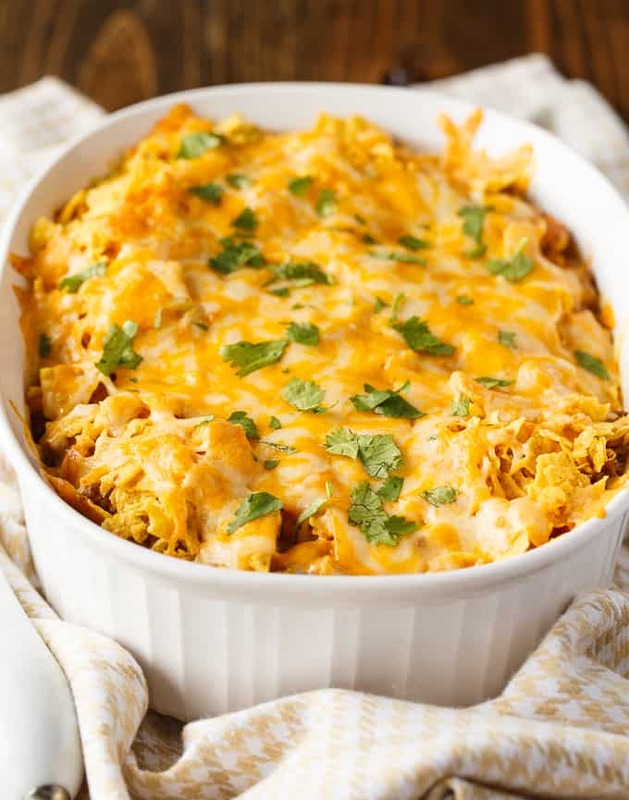 This casserole recipe looks delicious! It looks like something my family would definitely love. Thank you for sharing! I need that in my life right now! Looks yummy! Looks and sounds fabulous! I must try! Pinned & sharing on Twitter. Thank you for sharing on Merry Monday! Hope to see ya next week! Something I’d make on game day!